I’m hoping to watch the Victoria Secret fashion show tonight sometime, I have to do a lot of studying for my final exams on Monday though to that may not happen on the exact timeline I would like, but I will still get to it. I’m writing right now because there are some changes that I would like to incorporate to this blog. Yes, I will still talk about fashion, beauty and shoes because I still love these things and they are a huge part of my life. But I would also like to add some more lifestyle to my blog. What did I do today? The pictures from the trip to the park. DIY crafty items I try (emphasis on the word try). My attempts at actually completing Pinterest items I have pinned. So yes, there will still be fashion pieces on here, but I’m going to evolve the blog as well. I hope you stick around to see where this blog goes and enjoy the ride with me! Hair. No, not the Musical. Hair. It’s something that I have a very bittersweet relationship with. On certain days I love my hair! It’s shiny and laying just right. Most days however, we aren’t exactly on the same page. I cut it all off a little over a year ago and am now at that awkward stage where I can’t seem to do anything with it. I have layers and so I can’t really braid my hair yet because halfway down hair starts sticking out all over. My hair is too heavy and usually doesn’t hold a curl. So I almost always straighten it and then end up throwing it into a ponytail. I have considered getting extensions but then consider how much that would cost and think of how much I could do with that money instead and just stick with my own hair. 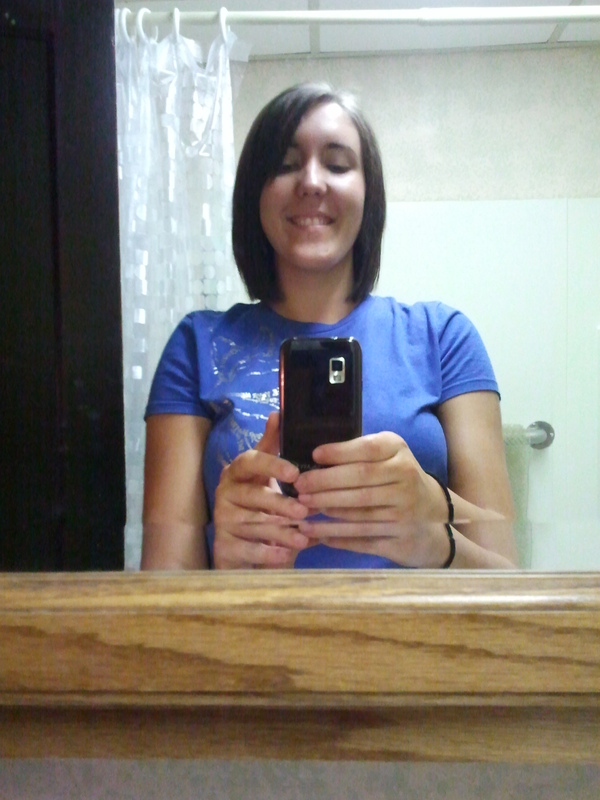 I have to keep reminding myself that my hair is growing, it’s not stuck and soon it will be at a good length. What do you do when your hair is driving you nuts? What are some tips I can do or hairstyles I can try? You can tell from the pictures below my hair is growing (I also seem to wear a lot of blue) I just wish it would grow faster! 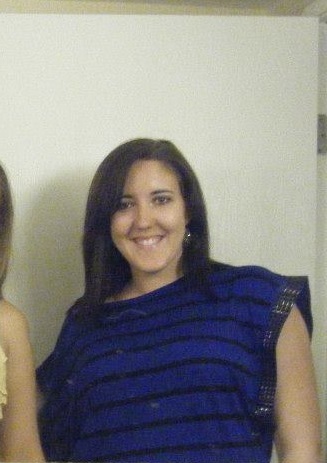 My hair cut right after cutting it about a year and a half ago. My hair a month ago. Not the best quality picture, but you get it. There aren’t a ton of items I want… Today it is just an accessory and a beauty item… I’m easy to please this weekend. Louis Vuitton purse… Of all the designer bags this is one of my favorites. Something about it just seems classier to me than some of the other purses out there… Yes, everyone knows the brand when they see it and I usually don’t like to “brand” myself but I think I could make an exception this once. Sebastian Penetraitt Shampoo and Conditioner… My salon uses a few Sebastian products and I absolutely love the way they smell and the amazing things they do to my hair. So when I heard about this shampoo & conditioner combo while watching one of my favorite youtube video channels, kandeejohnson, that she uses this and absolutely loves it I decided it is time for me to try it! The part of the video I am talking about starts at around 8:26. Looking for a piece of advice from you all. I found some nail polish at Ulta that I really want to try out but for the three piece set it is $36 and that is a little bit more than I would normally spend on nail polish. 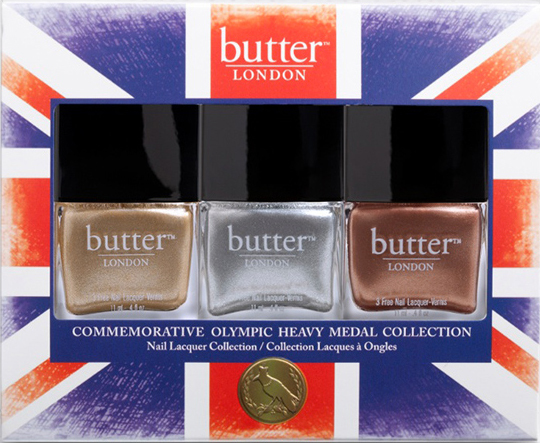 Have any of you tried the Butter London brand of nail polish? If so, is it worth that price tag? Is there a different type of polish you prefer?